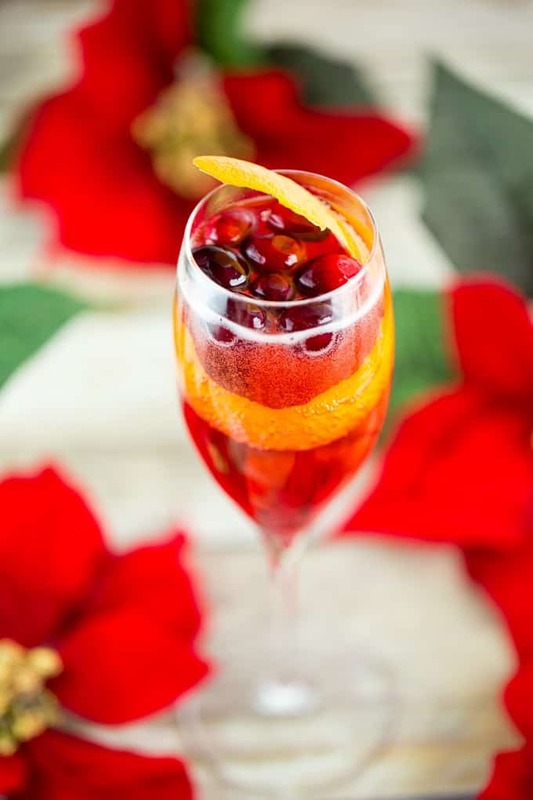 Holiday party season is here and this festive sparkling Champagne cocktail is my favorite way to impress guests without much fuss. 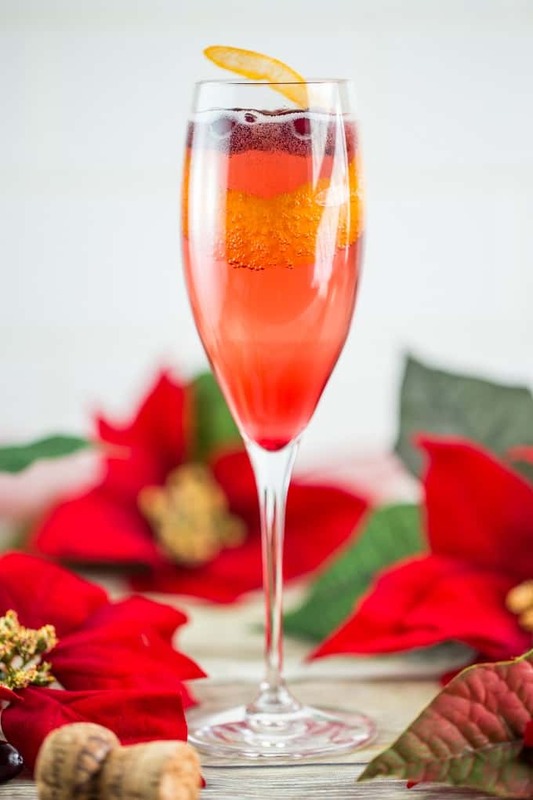 The classic Poinsettia is a beautiful drink bubblin over with traditional holiday flavor that is deceptively simple to prepare. 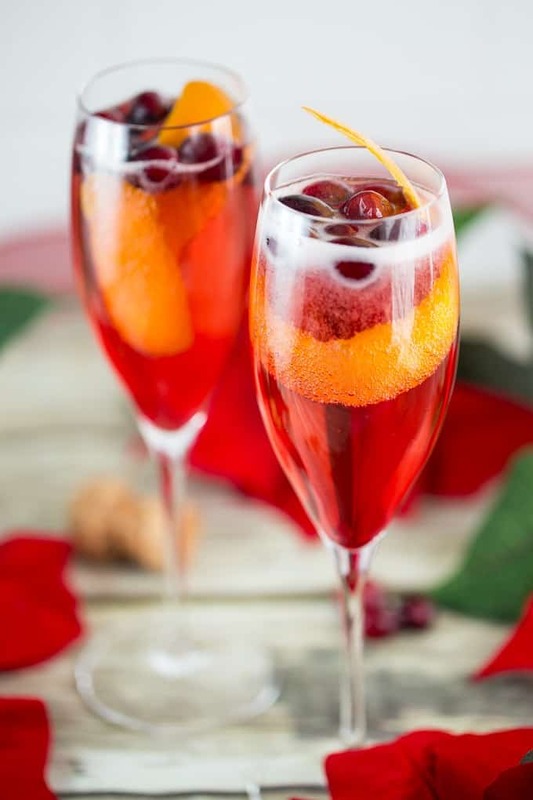 Seasonal flavors of orange and cranberry are the perfect compliment to a celebratory glass of Champagne – or, as we make it at Chez Jones, Prosecco. Because there’s no ice, I like to serve it with frozen cranberries to keep things crispy cold while adding a little extra holiday flair. If you opt not to use frozen cranberries, just be extra sure that the ingredients are well-chilled before serving. 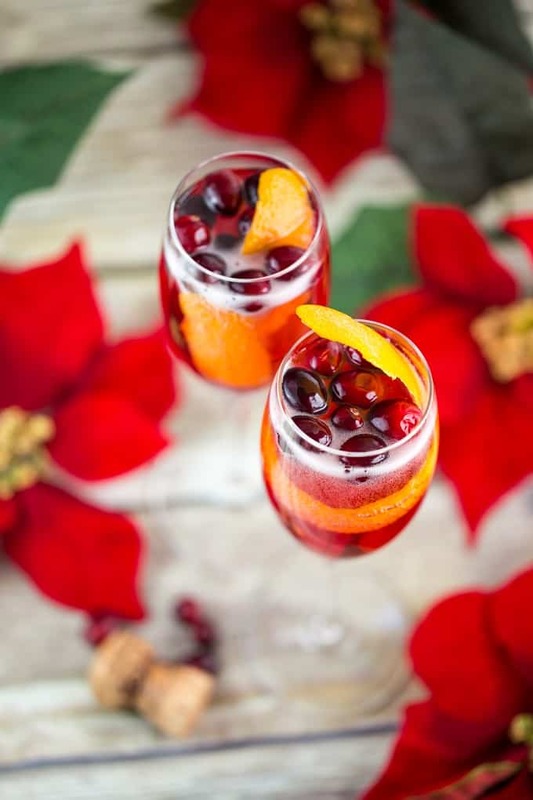 A Poinsettia is very easy to make in a batch – just combine one part orange liqueur and four parts cranberry juice in a pitcher and keep it chilled with a handful of frozen cranberries. Serve guests by pouring a quarter cup or so’s worth into a champagne glass and top off with the sparkling wine and an orange twist. Leave the pitcher out so guests can serve themselves. This is a super easy cocktail and there’s no need for perfection. The strong flavors in this cocktail mean you can use a budget sparkling wine. Save the fancy stuff for toasting straight! 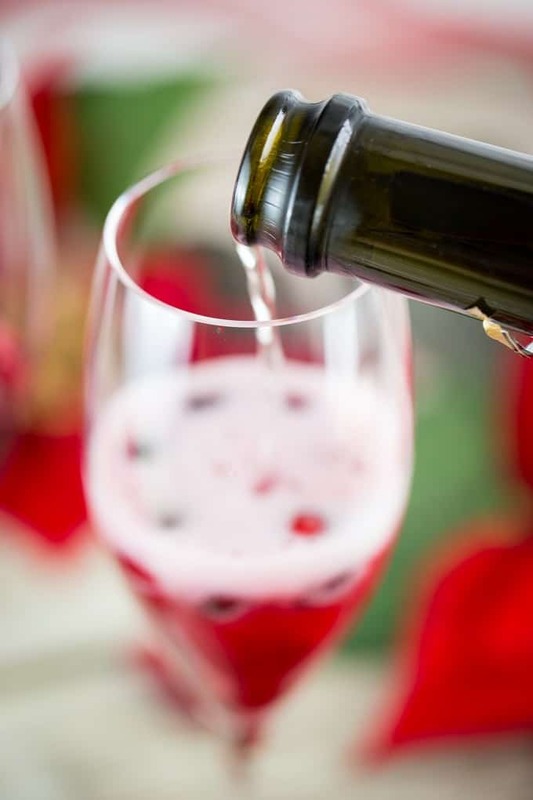 I’d recommend using a brut wine to prevent the cocktail from being too sweet. I’m also careful to use pure cranberry juice – not cranberry cocktail. The tartness balances the sweetness of the orange liqueur perfectly for me. The only other ingredient is a twist of orange peel to provide a heavenly aroma. Put this on the menu for your next holiday party and you won’t be disappointed! 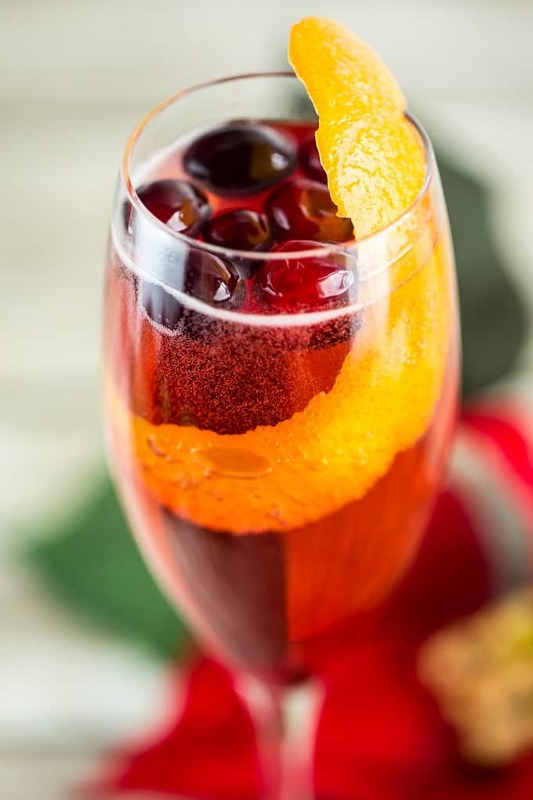 Combine cointreau and cranberry juice in a champagne glass. Top off with chilled sparkling white wine.